Hi everyone, fall is here! 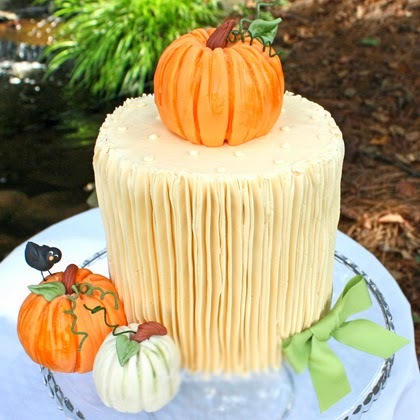 It’s my favorite time of the year, and I’m excited to share a very simple way to create pumpkin decorations for your cakes. We’re going to show you two different takes on a pumpkin cake—one very natural look, and one more glamorous look. Have you ever seen glamorous pumpkins?